You are currently browsing articles tagged data integration. Reading social sciences projects to integrate hospital data and to improve language learning in the classroom have been recognised in this year’s O2RB Excellence in Impact Awards. 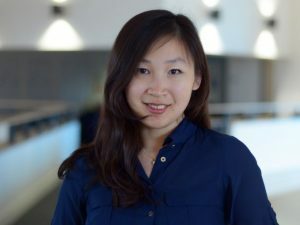 Dr Weizi Li (Henley Business School) has won an Excellence in Impact Award and the research of Professor Suzanne Graham (Institute of Education) was highly commended. The awards, which celebrate innovative social sciences projects that have made a social or economic difference to individuals, communities, and societies were presented at a ceremony attended by several Reading researchers, at St Anne’s College, Oxford on 19th April.